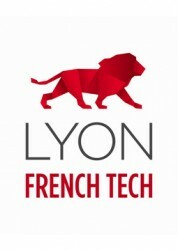 Lyon French Tech is one year old ! Home > Posts > Agenda > Lyon French Tech celebrates its 1st year! One year ago, the Lyon French Tech Association was launched, and much work has been done since then. Active in the Lyon area, it aims to unite players, connect people up and build things together, but also to reflect the vitality of Lyon internationally, through start-ups working within the digital transformation. Efforts to promote the acceleration and expansion of these young companies are producing results, and the Association has decided to celebrate. On 21 June 2016 a big event will be held, bringing together the local ecosystem of Lyon-based start-ups in the premises of Cegid, at the heart of the Lyon-Vaise digital district, where Patrick Bertrand, Managing Director, also serves as President of the Association. This event will be an opportunity for the Association to commend a whole group of players who are helping train, support, finance and internationalize these budding businesses. In 2015, 26 companies in the digital sector, including start-ups and SMEs, as well as established players such as Ubisoft and Xilam, set up for business in the attractive city of Lyon. Starting at 6pm, Lyon French Tech will look back at the results it has produced since it was created. It will also announce major projects it has in the pipeline for its second year. In order to get a glimpse of the Association’s various ventures, the audience will also hear testimonials from start-ups, scale-ups and the players who support them. More information on the event is coming soon on the site of Lyon French Tech.